Slicing meat is a dangerous task. A meat slicer is basically a series of large, extremely sharp blades that rotate quickly so it can cut through even the toughest of tissue. According to the Department of Occupational Health and Safety, roughly 4,000 amputations occur every year due to meat slicer injuries. These are injuries that cause a significant amount of time off of work. Emory University found that those who work with meat slicers have a 60 percent higher chance of suffering a severe workplace injury than their peers in other fields, while the Bureau of Labor Statistics found those who work with meat slicers are twice as likely to miss a significant amount of time from work when compared to other fields. 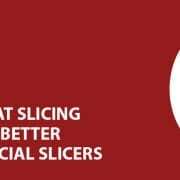 The risk of serious injury when working with a deli slicer is significant. One of the most severe complications of meat slicer accidents comes in the form of blood loss. If a meat slicer blade cuts through the radial and ulnar arteries, found in the forearm, wrist, and hands, the high-pressure bleed can lead to significant blood loss in just a matter of seconds. 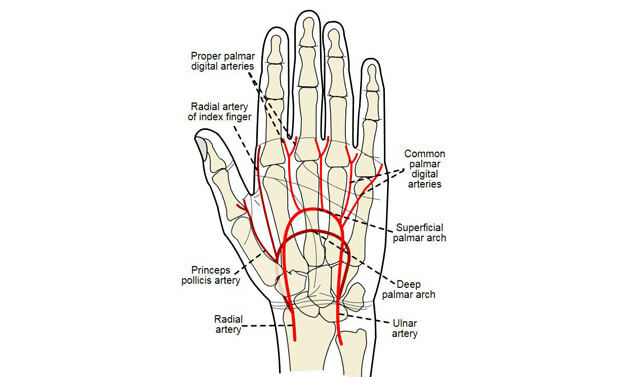 Even if the radial and ulnar arteries aren’t cut, the bleed out from an amputation can be significant and place the life of the injured in serious jeopardy. Hypovolemic shock, also known as hemorrhagic shock, occurs when you lose more than 20 percent (one-fifth) of your body’s blood or fluid supply. 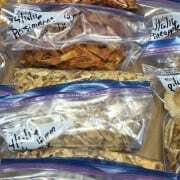 This makes it impossible for the heart to pump a sufficient amount of blood to your body and can lead to organ failure. Exsanguination is the most extreme form of hemorrhage, and occurs when you lose 40 percent or more of your body’s blood or fluid supply and, if not surgically controlled, will lead to death. You reach exsanguination when you lose 40 percent of your body’s blood or fluid supply. This condition can be fatal if the bleeding isn’t stopped and treated quickly. Some reports suggest that death can occur within five minutes of injury if blood loss isn’t stopped. 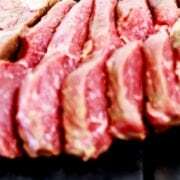 So how do you keep employees safe when working with a meat slicer? We put together a list of safety tips and advice that will help prevent injuries and keep your employees safe. Training employees on the proper use of a meat slicer — how to use it, how to clean it, how to maintain it — goes a long way to prevent injuries. The more you review proper usage and safety measures with your employees, the safer they will be when operating the machine. The blade on any meat slicer is extremely sharp — making touching the blade, even when the blade isn’t moving, extremely dangerous. Whenever the blade needs to be touched, whether for cleaning, removal, honing, or sharpening, the operator should always wear cut resistant gloves. This will prevent cuts and amputations that can occur from grabbing the sharpened edge of the blade. 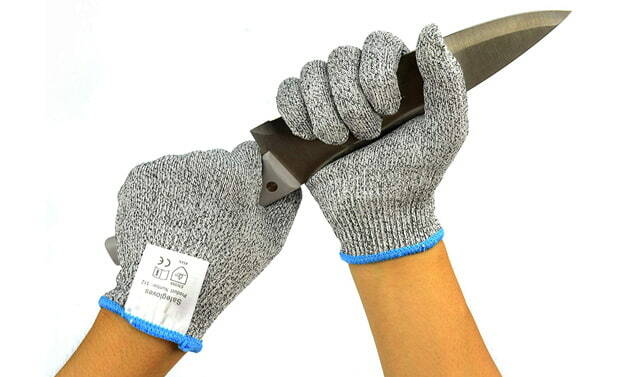 Even if the meat slicer comes with a blade removal tool, cut resistant gloves are a smart idea. You never know the knee-jerk reaction an employee will have if the blade is dropped. Without even thinking, they may reach out and try to grab the blade, causing injury. It probably doesn’t need to be said, but never, ever, EVER touch the blade directly when not wearing the proper cut resistant gloves. 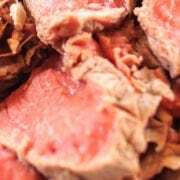 Meat slicer blades are designed to quickly and easily cut through meat and tendon — meaning just even touching the sharp edge of a blade is enough to cut you. Play it safe — don’t touch the blade. One of the best ways to prevent meat slicer injuries is to purchase a slicer that doesn’t have an exposed blade. If employees can’t come in contact with the blade during operation, the risk of injury is greatly reduced. You can’t be hurt by something you can’t even touch. A number of meat slicers come with covered blades — either by containing the blade behind a door or designed to place meat in a chute before it falls into the blades. While the risk of injury still exists when cleaning the machine and blades, during operation employees are safer when the blade is fully covered. Safety switches on any piece of food processing equipment are your friend. These devices cut off power to the machine if certain guarding or components aren’t in place or secured properly, making it impossible to run the slicer if there is a risk of injury. Cleaning and maintaining a meat slicer requires protective guarding to be removed. When this is the case, it is essential to ensure that the meat slicer will not start up unexpectedly and that employees’ hands are protected from cuts or amputations when the guards are removed. 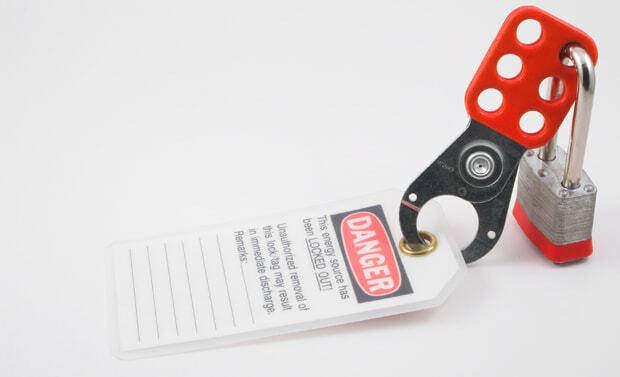 A Lockout/Tagout program is required under OSHA 29 CFR 1910.147 when the guards are removed unless the worker, maintaining or cleaning the unguarded machine, unplugs the food slicer from the energy source and has exclusive control of the plug to ensure that no one else can unexpectedly start the machine. When it comes to operating meat slicers of any kind, play it safe! It is far less expensive to invest in cut resistant gloves, employee training, and lockout/tagout procedures than it is to dish out hundreds of thousands of dollars in direct and indirect injury costs. Your employees will be safer, and your bottom line will thank you.